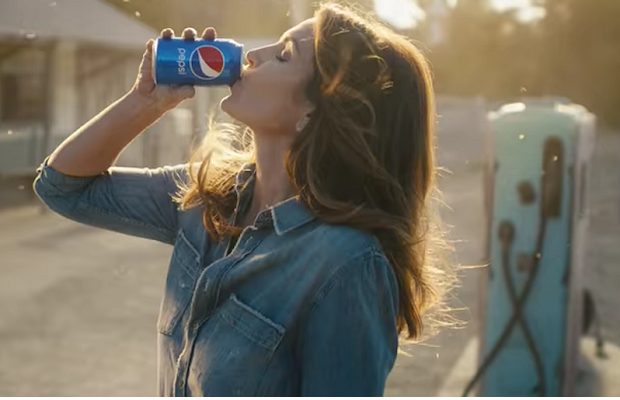 Pepsi got the most social engagement out of the $5m ad spots at this year’s Super Bowl, according to new research. Amobee Brand Intelligence looked at brand ads that ran during the Super Bowl on Sunday night. 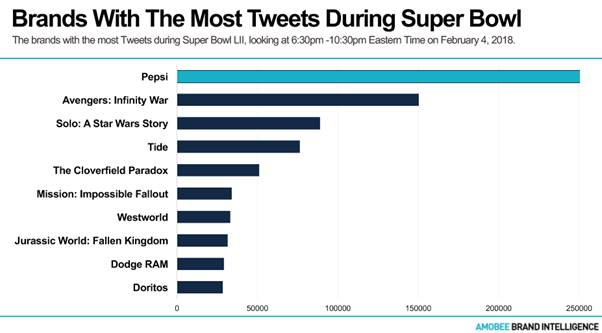 The brands with the most Tweets during Super Bowl LII, looking at 6:30pm -10:30pm Eastern Time on February 4, 2018. •	Coca-Cola had 7,954 Tweets with Twitter sentiment being 78% Positive, 16% Neutral, and 6% Negative. •	Jurassic World: Fallen Kingdom had 31,622 Tweets with Twitter sentiment around those Tweets being 76%Positive, 21% Neutral, and 3% Negative. •	Verizon had 12,455 Tweets with Twitter sentiment around those Tweets being 75% Positive, 15% Neutral, and10% Negative. •	Avocados From Mexico had 5,966 Tweets with Twitter sentiment around those Tweets being 73% Positive,21% Neutral, and 6% Negative. •	Amazon Alexa had 23,057 Tweets with Twitter sentiment around those Tweets being 53% Positive, 38%Neutral, and 9% Negative.